Hey there friends! 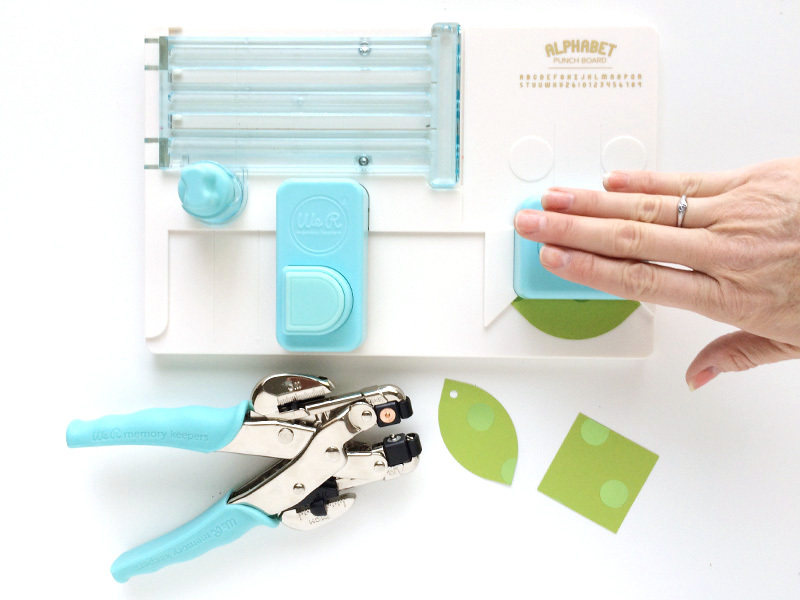 Yesterday I was back over at Scrapbook and Cards Today magazine blog for another round of Tools Today. It’s so much fun for me to share my tool love each month--I hope you enjoy seeing these tools in action. You can find past Tools Today posts by clicking here. 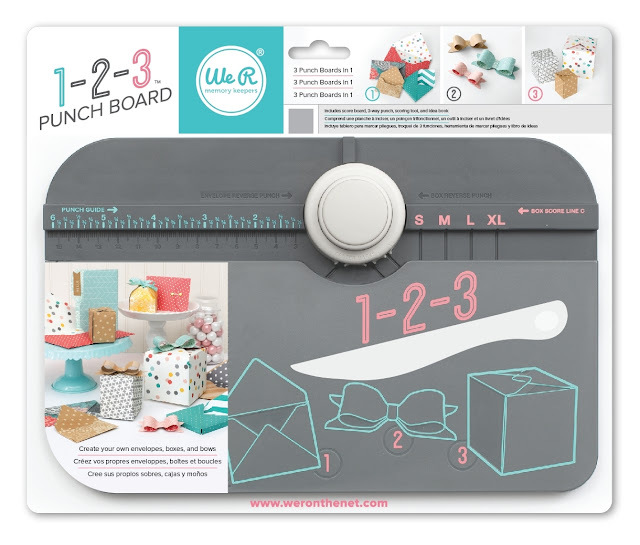 This month’s tool is the 123 Punch Board by We R Memory Keepers. It's by far the most versatile and best value of the punch boards, in my opinion. Check out what I made with it! This tool makes over 200 different variations and sizes of envelopes, boxes, and bows. Instructions for the basic versions in several sizes are conveniently color-coded and right on the board. The 123 Punch Board comes with an instruction booklet for making variations on the basic three shapes. 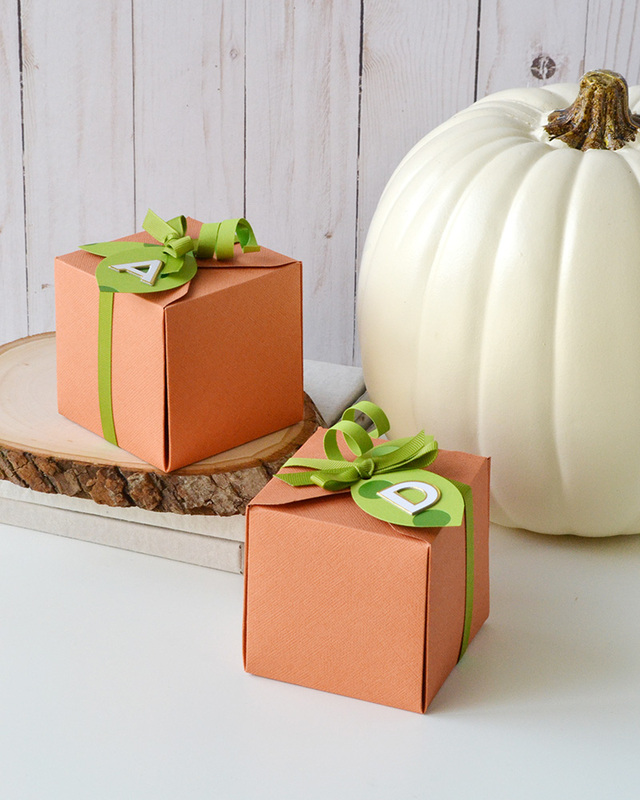 These little pumpkin gift boxes are perfect for holding small gifts, sharing fall treats, or acting as place cards at a fall celebration. After making the 3.25 inch boxes with the punch board, I added some ribbon and greenery to the top. I made the leaves using one of my favorite crafting hacks--the rounder punch on the Alphabet Punch Board! 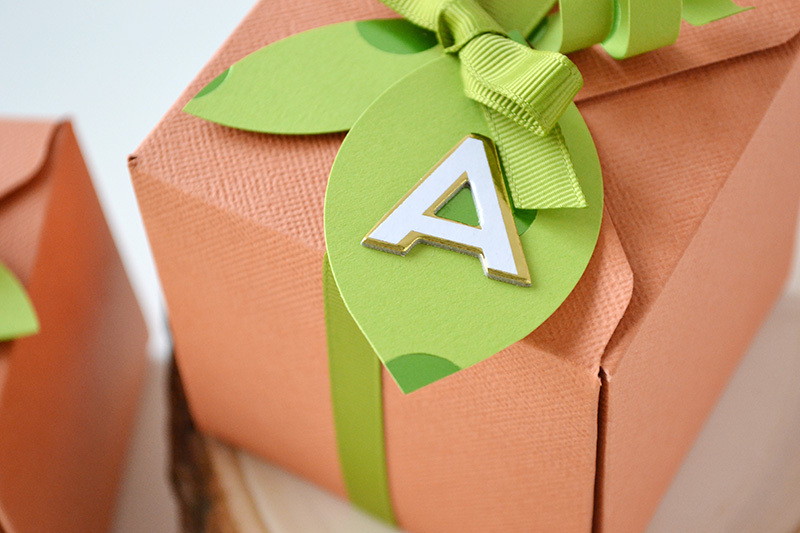 You can personalize the box by adding a monogram to the leaf like I did, or you can replace that with a gift tag and sentiment or short note for your recipient. 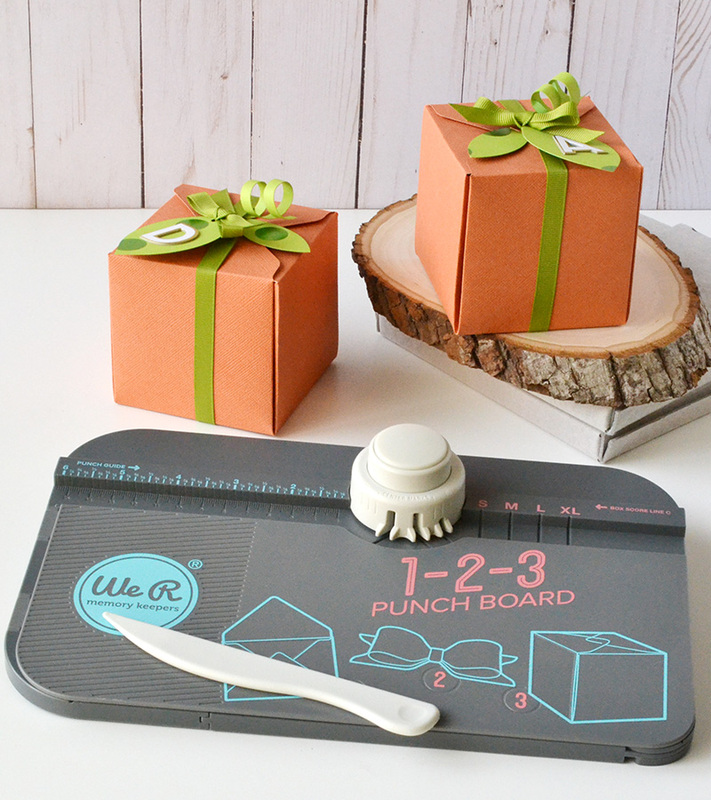 To see the 123 Punch Board in action, and for a few more tips and tricks for making these pumpkin gift boxes, watch the video tutorial on the Scrapbook and Cards Today magazine blog HERE. While I used the gift box feature of this tool, that’s only scratching the surface of what you can create with it. 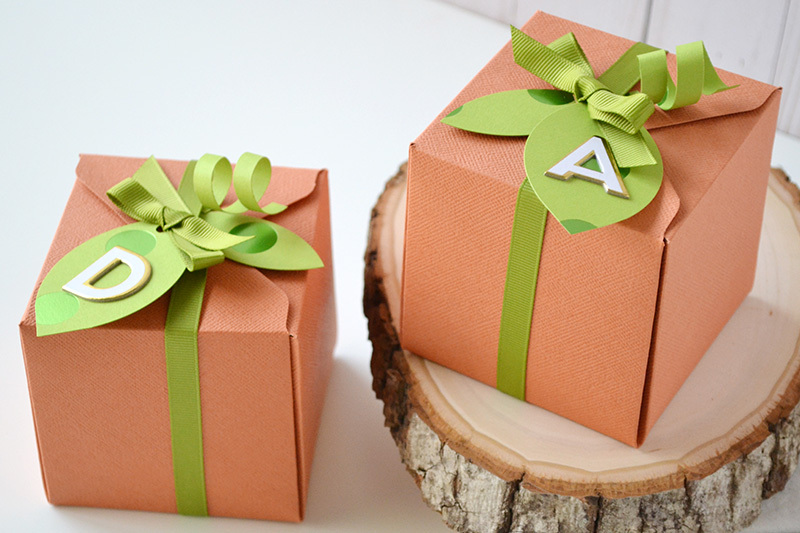 You can make bows to top your boxes, envelopes to coordinate with your handmade cards, and so much more. Thanks for joining me today! I hope this has helped you see what a versatile and valuable tool the 123 Punch Board is. It’s truly a staple supply for paper crafters.